Flooring comes in a wide variety of materials and configurations. This is particularly so in Brisbane’s Southside, where homes range from old Queenslanders to modern apartments. Here at Bennetts Carpets, we are familiar with diversity of flooring needs in Brisbane homes and businesses. That is why offer a wide range of flooring materials from Australian producers. From timber floors, to carpets and rugs, Bennetts stock it all. Our flooring solutions are suitable for both homes and commercial complexes. In fact, we have undertaken flooring projects for homes, apartments, commercial buildings, health clubs and even hospitals. Our range of flooring, when coupled with the experience of our specialists, suits any and all situations. So if you need to replace your deteriorating and worn out flooring, or simply upgrade to one that is nicer, we can help. To learn more about our range of flooring products, contact us through our website today. At Bennetts Carpets, we believe that effective communication is the key to good service. For this reason, our team will engage with you from the very beginning. Our aim is to work closely with you to identify the perfect flooring solution. We will help you explore our range of materials so that you find one that suits your home visually and practically. To learn more about what you need, we invite you to get in touch. You can do so by following the prompts on our website. If you prefer, you can also visit our showroom. When you get in touch, our salesperson will fill in your details on a lead information sheet. This means we will have a record of what you are after. We will also arrange a callout to your site. By sending our specialists to your home or business, we can better assess your needs. As a part of this, we will measure your floor precisely, to gain a clear idea of how big the job will be, and how much flooring material you will require. This callout is also a great time for you to tell us a bit more about what you want. We welcome the chance to get to know your needs a bit better. We believe that doing so allows us to create a perfect flooring solution. Based on our findings during the callout, we will create a detailed quote for you. This will outline the materials and services you require, as well as the price. If you accept the quote, we can get to work. First, we will make sure that all the materials you need are in stock. Then, we will commence with the installation. Once that is complete, we will provide you with your warranty details and a care guide. Here at Bennetts Carpets, we understand that everyone has their own needs and preferences when it comes to flooring. 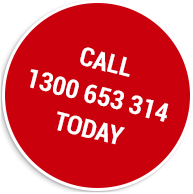 To make sure that all our clients are satisfied, we stock and select high quality Australian made flooring products. Owing to our strong industry connections, we are able to source our materials at the best prices. This means that our savings become your savings. We genuinely strive to help our clients, and as a part of this we offer a wide selection of flooring. 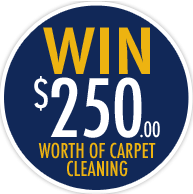 Carpets are among the most popular of flooring in Brisbane’s southside. Carpets are comfortable and practical and also keep your floor warm during winter. In addition carpets can even reduce noise if you live in an apartment. At Bennetts, we have state of the art carpet cutting equipment. This means that your carpets will be perfectly measured and laid. All of our carpet comes from leading brands, which specialise in environmentally sustainable production methods. These brands include Godfrey Hirst, Quest Carpets and Victoria. Here at Bennetts, we understand that flooring can be more than the floor itself. Sometimes, all you need is something to add some colour and vibrancy. That is where our rugs come into their own. With a range of acrylic, wool and nylon rugs, there is sure to be a rug for you. Additionally, our range of rugs includes a wide variety of colours, patterns and textures. Rugs can protect your floor, create comfortable zones in your home and, most importantly, enliven any room in your house. For rental owner and home investors, vinyl plank flooring is a clear favourite. But many standard homeowners and business owners find it just as enticing. Vinyl plank flooring is hardwearing and good-looking. It is one of the more low-maintenance flooring options, which is why rental owners favour it. However, it also looks almost identical to timber. Our range even comes with a range of patterns and grains. Again, we source all vinyl plank flooring from leading brands such as Decoria, Heatridge and Karndean. All our viny flooring is recyclable. Timber is a clear favourite for those who want durable and elegant flooring. Our range of native hardwoods includes Blackbutt, Spotted Gum, Jarrah, Australian Chestnut and Oak. All of these have a remarkably rich and sleek appearance, making them the best looking flooring solution by far. These timbers are low maintenance and you can sand them or repolish them at any time. We advise against attempting to install your own floor. Flooring is harder than it looks and there are a lot of variables to take into account. By leaving it to us, you can be sure that the outcome will be of an unrivalled quality. We clean away all waste products and conduct a thorough clean of your site before you leave. Our team will also dispose of any waste flooring responsibly.